When Marcel Hanoun died on September 22, 2012 at the age of 82, it caused barely a ripple in the media, and even in the world of experimental cinema. And yet Hanoun was a major filmmaker, whose near total critical eclipse after an initial burst of critical interest is an indictment of cinema history as a function of canon. It’s true that Hanoun’s films are difficult, but no more so than Jean-Luc Godard’s, who was a fan of Hanoun’s work; it’s true that Hanoun turned his back on commercial cinema to work as a perennial outsider, but again, cinema has many rebellious figures in its history who continue to hold a claim on our memory. But Hanoun is in death, as he was in life, an almost phantom figure, “discovered” in the early 60s, and then summarily dismissed. There is a French Wikipedia page on Hanoun, but not one in English. Most of his films, with the exception of his first, Une Simple Histoire (1958), are not readily available. His list of film credits on official websites like IMDb is woefully inaccurate. What critical writing there is on him in English is mostly from the 1960s and 70s, and after that, it just stops. Indeed, for most of his films, there’s scant information to be had in any language. To me, this is inexplicable. Hanoun’s importance is clear. Nevertheless, it’s a sobering fact; most people have never heard of Marcel Hanoun. In short, all the ingredients are here for a good cinematic scandal, with one critic attacking another critic, differing viewpoints espoused, screenings and re-screenings of Hanoun’s film to bring the argument to a boiling point – but none of that ever happened. As it turned out, Une Simple Histoire was one of the few – if not the only – of Hanoun’s films to get regular distribution in the United States or abroad – most of his work, shot largely in 16mm, never received any formal distribution on an international level. But this lukewarm praise was not enough to save the film from near oblivion, despite the fact that Une Simple Histoire won the Grand Prix Eurovision at Cannes in 1959. Une Simple Histoire was Hanoun’s first as a director, but in a curious fashion, the film’s relative critical “failure” seemingly marked an end of sorts to Hanoun’s career just as it was getting started. He went on to direct more than 60 more films of varying length, but somehow, he never really escaped the shadow of Une Simple Histoire’s contentious debut. Today, however, you can see Une Simple Histoire online for free. You can also view several other feature films by this highly prolific filmmaker here, including L’Être et l’autre (2011), Jeanne aujourd’hui (2000), Chemin d’humanité (2011), and Les Amants de Sarajevo (1993), among other works, along with a film about – if such a thing is possible – Hanoun, A la rencontre de Marcel Hanoun (1994) by Bert Beyens, documenting Hanoun directing Les Amants de Sarajevo. So, in some form, Hanoun’s work is available, even as it cries out for subtitles, digital remastering, and a conventional DVD and/or Blu-ray release. Yet even on the web, in the most accessible of formats as free streaming downloads, Hanoun’s videos have racked up miniscule numbers in terms of views, when one measures them against mainstream cinema; for the films that have gone on YouTube, 160 views for this film, 441 views for another, 118 views for yet another, with only Une Simple Histoire getting any real notice, at 5,477 views, as if that film alone stood for all of Hanoun’s work, which is, of course, absurd. Born in Tunisia on October 26, 1929, Marcel Hanoun came to the cinema relatively late in life, as an exhilic director. Visiting France as a child with his parents, he came back to Paris permanently after the end of World War II, and in the 1950s studied under André Vigneau at CERT (Centre d’Etudes de Radio Television), while working as a journalist to support himself. 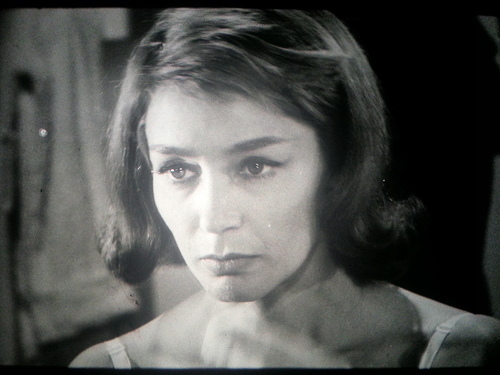 Drawn to the films of Robert Bresson, in particular Un condamné à mort s’est échappé ou Le vent souffle où il veut (A Man Escaped,1956), Hanoun began to theorize a cinema in which the word and image were separated and given equal value. In this, Hanoun was working along the same lines of thought as the radical experimental filmmaker Jean Isidore Isou, whose Traité de bave et d’éternité (Venom & Eternity, 1951), proceeded along a similar path, but with a much more violent approach. While Isou used scratched leader, upside down stock footage, and out-of-focus footage of himself interminably wandering the streets of Paris for his visuals, with theoretical diatribes intercut with Lettrist poetry on the soundtrack to create a world in which all is chaos, Hanoun’s quiet, contemplative style, using a static camera and images that force the viewer to concentrate on the most quotidian aspects of existence, to accentuate the dichotomy between sound and image which is implicit in all of cinema. After Un Simple Histoire marked him as a member of the “outsider” school of cinema, and met with such critical resistance, Hanoun attempted to go mainstream, or as mainstream as he could, with Le Huitième jour (The Eighth Day, 1960), starring New Wave icon Emmanuelle Riva, but was unhappy with the conventional nature of the finished project. This prompted Hanoun to leave France for Spain, where he created a number of documentaries over the next several years, before he hit on his signature style, in which he acknowledged the “constructed” nature of each film he directed, and the creation of the film in every aspect became an inextricable part of the fabric of his work. 16mm prints of his work began to find their way to America, where Jonas Mekas, the Godfather of the New American Cinema, or “underground film” movement, immediately recognized the brilliance of his work. With his next major work, L’Authentique procès de Carl-Emmanuel Jung (The Authentic Trial of Carl Emmanuel Jung, 1966), Hanoun used a near documentary style to portray the imaginary trial of the title character, cast in the film as the former commandant of a Nazi concentration camp, finally called to account for his actions. The “real” Carl Jung, of course, held no such position, but his close association with a number of official Nazi organizations, and his implicit approval of Hitler’s regime through most of the war, remains deeply problematic for most observers. In this film, Hanoun suggests that “his” Jung has been seduced by a life of postwar luxury, and is all too willing to forget his past, even as he is directly confronted with it. Shot in stark black and white 35mm, the film is by turns abrasive, seductive, and damning, ultimately leaving any “moral judgments” entirely up to the viewer, thus making the spectator, in a sense, the co-creator of the film. 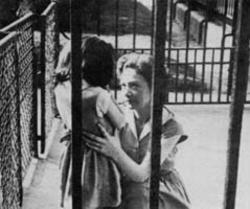 The subsequent films in the “seasons” group become ever more reflexive, involved in the mechanics of making a film. Still, at this point, Hanoun was able to work in 35mm film, and in Le Printemps, he created sumptuous allegory which “tells two parallel stories: a man, fleeing the forces of order, takes refuge in the forest, while a young girl living with her grandmother in a nearby village approaches the threshold of adolescence, and begins to discover both the world and herself” (as qtd. here). But as Hanoun’s vision as filmmaker became clearer, he was moving further away with each new film from what conventional cinema audiences expected, and was eventually forced to work in Super 8mm and video to keep pursuing his deeply individualistic vision. “Hanoun’s work […] does not adhere at all […] to the level of simple revelation of a process of production, since from the moment that it is filmed, that it becomes an object to be filmed, this production deals in fiction like any other scenarist’s invention […] only for Hanoun could the experience have this character that is profoundly negating, subversive, anti- commercial” (1974: 135). “Leaving film school I immediately had to face the fact that I had to make a living. So I had a very hard time the first year. I could not find jobs. And the only thing I got, at the beginning, were jobs that did not pay, I accidentally met someone who had been on the jury at a film festival in Greece and had given a prize to a film I had worked on when I was in film school. I met him by accident; he was my neighbor, his name was Marcel Hanoun. And without that meeting, I would not be here, because I would have never become a cameraperson. Hanoun did not have any money to pay me, but he needed somebody to help him in editing and he did train me as an assistant editor, and later did train me as a cameraperson […]. [Marcel] was always broke, [but] he taught me something […] I could use to make a living” (Price and Stutesman 2004: 36). 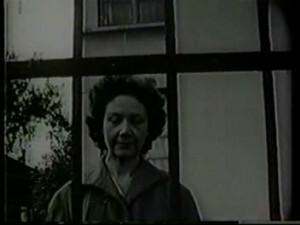 And thus, even when this arrangement was slightly exploitational, Babette Mangolte, along with many others who worked with Hanoun on various projects, learned by working with an actual practitioner, rather than in a school, acquiring skills that would enable her to create her own work later on. Between 1970 and 1980, in addition to serving as a lecturer at the University of Paris in 1976, Hanoun toured and lecture in the United States and Europe, screening his films and discussing them with students. This, of course, was a very different time in American society, in which political cinema – often of great difficulty – was embraced by students who now seek only to escape from their lives in manufactured entertainments. Hanoun also wrote a great deal of film theory and criticism, always seeking to move away from the establishment, but again, nearly all of this material has never been translated into English. In addition, as Hanoun began working in video more aggressively in the last decades of his life on a wide variety of projects, many of them collaborations, his works became “fugitive texts,” some of them lost, incomplete, or made in formats, such as Super 8mm, that are no longer supported by current technology. While it’s nice to see some of Hanoun’s work on the web, a DVD box set of his best work is long overdue, but since there isn’t even one available in Europe, it’s doubtful that this will ever happen. All the time, he continued to work, creating one of most compelling later projects, Jeanne, aujourd’hui (Joan, Today, 2000) using the most minimal of resources. Nevertheless, Hanoun was still honored, if not revered in France, and was given a retrospective in 1994 at the Musée du Jeu de Paume, followed by a career retrospective at the Cinémathèque Française from April 28 to May 31, 2010, showcasing a large number of his films and videos; by that time, Hanoun, like Agnès Varda, had turned almost exclusively to working in small format video, as the most congenial and least compromised medium in which to create his works. It’s nice to see that just two years before his death, the academy finally allowed Hanoun some small measure of recognition. Marcel Hanoun’s cinema was simultaneously confrontational and invitational, asking the viewer to do a great deal of work with the images presented, but offering also, as with the films of Manoel de Oliveira, a vision that at once confounds and enlightens his audience. Unlike so many other filmmakers, indeed nearly every other filmmaker with a major reputation working in France during this period, Hanoun never really sought out publicity, and consciously rejected the commercial model of filmmaking even when it was in his grasp. Like Straub and Huillet, Hanoun wanted to challenge his audience, to force them to abandon their recreational expectations, and embrace a cinema that dealt in revolutionary truths and a terrible beauty, borne of a conscious rejection of the material, and as with all artists who work from the margins, it cost him dearly. Yet Hanoun could not have worked any differently. His relative “invisibility,” then, alluded to at the beginning of this essay, is something that Hanoun consistently, it seems to me, sought and accepted. He could easily have followed a more commercial route if he had been a mere narrativist, but for Hanoun, narrative was simply another aspect of the cinema that existed to be deconstructed. For the moment, we will have to be content with what we can find of Hanoun’s films on the web; but we should remember, and realize, that his work is so much more than one film, one film which ultimately and unjustly served to define him, one film whose reception shaped his entire career, and one film which is just one of the many challenging and dazzling films he created, films which demand our attention, and continue to resonate in one’s memory long after the final images have faded from the screen. Wheeler Winston Dixon is the James Ryan Professor of Film Studies, Coordinator of the Film Studies Program, Professor of English at the University of Nebraska, Lincoln, and, with Gwendolyn Audrey Foster, editor of the book series New Perspectives on World Cinema for Anthem Press, London. His newest books are Streaming: Movies, Media and Instant Access (2013); Death of the Moguls: The End of Classical Hollywood (2012); 21st Century Hollywood: Movies in the Era of Transformation (2011, co-authored with Gwendolyn Audrey Foster); A History of Horror (2010), and Film Noir and the Cinema of Paranoia (2009). Dixon’s book A Short History of Film (2008, co-authored with Gwendolyn Audrey Foster) was reprinted six times through 2012. A second, revised edition was published in 2013; the book is a required text in universities throughout the world. 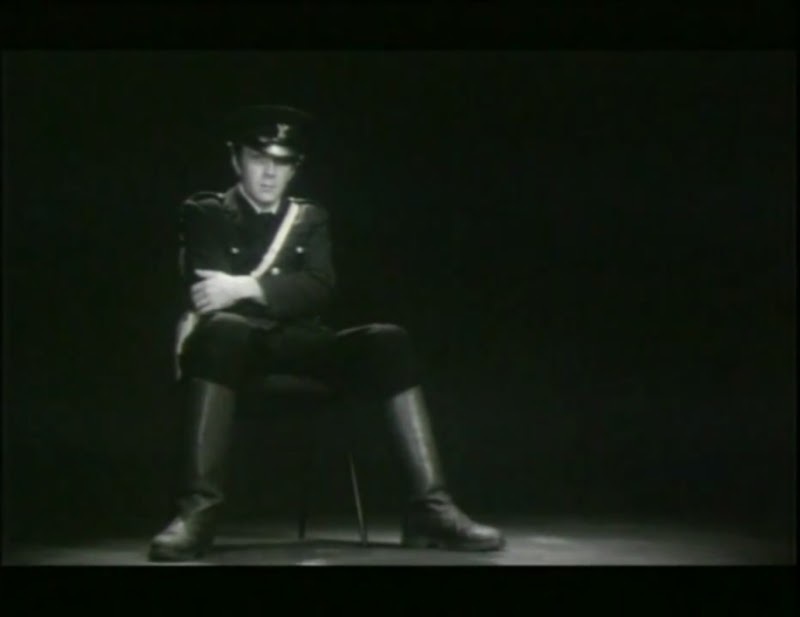 Brenez, Nicole (2009), “For an Insubordinate (or Rebellious) History of Cinema,” Framework: The Journal of Cinema and Media 50.1/2 (Spring/Fall), pp. 197-201. Martin, Adrian (2012), “Marcel Hanoun Tweet”, September 23. Price, Brian, and Drake Stutesman (2004), “Babette Mangolte Interview,” Framework: The Journal of Cinema and Media 45.1 (Spring), pp. 34-57. Ruoff, Jeffrey K. (1991), “Home Movies of the Avant-Garde: Jonas Mekas and the New York Art World,” Cinema Journal 30.3 (Spring), pp. 6-28. Sandwell, Ian (2012), “Filmmaker Marcel Hanoun Dies Aged 82”, Screen Daily, September 24. Sudoh, Kentaro (2012), “Quelques dates, après la mort de Marcel Hanoun”, La Furia Umana 17 October. 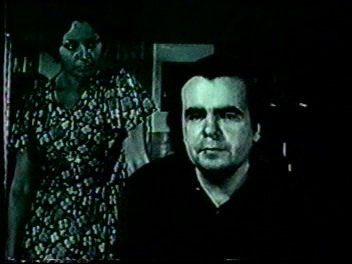 Zimmer, Christian and Lee Leggett (1974), “All Films Are Political,” SubStance 3.9 (Spring), pp. 123-136. The author wishes to sincerely thank Richard Graham, Love Library, University of Nebraska, Lincoln, for his help researching the materials for this article. We are currently preparing to release DVDs of five of his films, though the main reason why he never did this in his lifetime is he had lost the rights or materials. Anthology Film Archives included Une Simple Histoire in their essential cinema collection and show it regularly, and Marcel deposited many of his other films there. It is so good of you, Wheeler, to bring these films to public attention, especially for the U.S.
Marcel Hanoun finally gets some respect, and a retro at Anthology Film Archives in New York in Fall, 2014 – http://www.filmcomment.com/entry/rep-diary-marcel-hanoun – let’s hope we get some DVDs of his films readily available in the near future. Perhaps a box set? Doesn’t seem too much to ask. Correction; this is in the past. Oh well.